The Academy of St Martin in the Fields www.asmf.org was founded by Sir Neville Marriner in 1958. Their current Musical Director is violinist Joshua Bell. Whilst their focus is the Classical era they embrace other periods including contemporary music. They are able to perform as a large chamber orchestra as well as a small chamber group. Musical Director, Joshua Bell http://bach.joshuabell.com received his first violin at the age of four later studying with Josef Gingold before his debut at the age of 14 with Riccardo Muti and the Philadelphia Orchestra. His Carnegie Hall debut, an Avery Fisher Career Grant and a notable recording contract further secured his career. Equally at home as a soloist, chamber musician, recording artist and orchestra leader. In 2015 he will undertake a European tour with the Academy of St Martin in the Fields. An exclusive Sony Classical artist, he has made a number of critically acclaimed recordings and has been Grammy-nominated. His previous release, with the Academy of St Martin in the Fields, of the Beethoven 4th and 7th symphonies went straight to number 1 in the Billboard charts. Bell performs on the 1713 Huberman Stradivarius violin and uses a late 18th century French bow by François Tourte. 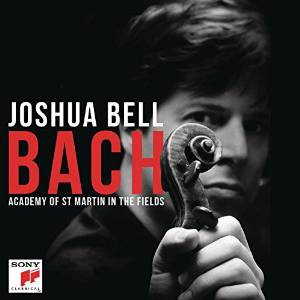 Now Joshua Bell and the Academy of St Martin in the Fields bring us, on a new release from Sony Classical www.sonymasterworks.com , Bach’s two solo violin concertos coupled with a number of Bach arrangements. There is a tremendously lively and incisive opening to the Allegro of the Violin Concerto No.1 in A minor, BWV 1041 from Bell and the Academy of St Martin in the Fields. Both Bell and his players bring some terrifically taut playing, wonderful ensemble and a real sense of joy in this real Allegro with some beautifully turned phrases. The Andante has a rich, gentle opening to which Bell brings a lovely tone as he weaves the melody around the orchestral accompaniment with the subtle harpsichord continuo. Bell’s fine sonorities blend well over the lovely lower strings of the Academy. The concluding Allegro assai is full of bounce and verve with some terrific little decorations and the Academy is on fine form. These players seem to understand each other perfectly and play as of one mind. Bell’s playing is truly phenomenal, so agile and beautifully phrased. Bell brings short, incisive phrases to the opening of the Allegro of the Violin Concerto No. 2 in E major, BWV 1042 as he and his players launch into this movement with superb control of dynamics and taut ensemble. Bell has such a sure touch with all Bach’s little twists and turns with beautifully turned ends to phrases. Later Bell and the Academy bring some lovely harmonies. There is such deft playing in the quieter passages in this intoxicatingly played movement. As Bell joins the Academy in the Adagio he brings an almost improvisatory feel, focusing a new light on this music. This is an exquisitely played movement with some lovely passages for the Academy with the harpsichord continuo again gently appearing. There is a spectacularly fine Allegro assai, full of energy, buoyancy and tautness with Bell surprising with his terrifically shaped little twists and turns and some fine harmonies. Julian Milone’s orchestration of Felix Mendelssohn’s arrangement of Bach’s Chaconne from Partita in D minor, BWV 1004 works especially well with Mendelssohn’s fleshing out of the harmonies for violin and piano nicely realised. Bell weaves some wonderful lines with the Academy in this tremendous example of Bach’s invention. Bell balances the contrapuntal with moments of fine, gentle sonorities. There are some extremely fine, light textures and intricate playing where Bell is really unbeatable as he weaves the double stopped lines. Bell brings a beautiful singing quality to the higher passages. This is superb, technically and musically. Bell and the Academy of St Martin in the Fields give a beautifully turned Air from Suite No. 3 in D major, BWV 1068 with just the right rhythmic pulse from the orchestra and making an attractive extra item. With Bach’s Gavotte en Rondeau from Partita No.3 in E major, BWV 1006 arranged by Robert Schumann and orchestrated by Julian Milone, Bell brings his neat, incisive, taut playing to this well-orchestrated version. The Academy of St Martin in the Fields has its roots in being led from the violin; something which Joshua Bell does so naturally. It is in the face of such musicality that the issue of period instruments and playing practice becomes a non-event. They are very finely recorded at Air Studios, London, England and there are interesting personal booklet notes on Bach from Joshua Bell. I will return to these performances again and again. The Classical Reviewer has been involved in music for many years, as a classical record distributor, as a newspaper concert reviewer and writer of articles relating to music as well as reviewing for Harpsichord and Fortepiano magazine. 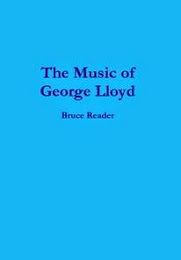 He assisted in the cataloguing of the scores of the late British composer George Lloyd and has co-authored a memoir of his friendship with the composer. Having a particular interest in British music, he regularly undertakes talks on Elgar. displayed on this blog may send you a cookie. A cookie is a small file that can be placed on your computer’s hard disc for record keeping purposes. All data provided on this site is for information purposes only. TheClassicalReviewer makes no representations as to accuracy, completeness, currentness, suitability, or validity of any information on this site and will not be liable for any errors, omissions, or delays in this information or any losses, injuries, or damages arising from its display or use. Classical Reviewer. Watermark theme. Powered by Blogger.